In sharing these personal experiences, I hope to shine a light on the problems disability students face throughout college. Robyn Silber, Computer Scientist, Blogger, Disability Advocate. 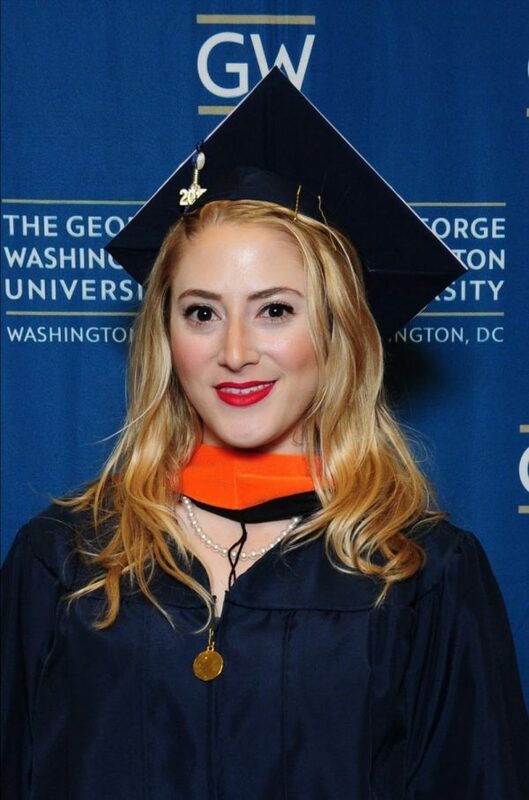 One of the reasons I decided to attend The George Washington University (GW) for undergraduate was because of its nationally-recognized Disability Support Services (DSS) program. At GW’s DSS, I received counseling, coaching, private test room accommodations, and had access to an array of other outstanding resources and services. After that experience, I started to believe that I wasn’t capable. From there, I began a long spiral downwards. I couldn’t find the right balance between my school life and social life. I over-exerted myself, sacrificed way too much sleep, and destroyed my immune system. I contracted chicken pox as an adult, and then viral bronchitis. I was out of school for months, and withdrew from a few semesters. My depression, anxiety, and panic disorder worsened. Eventually, I dropped out of school altogether. After two years in weekly therapy with my psychiatrist, I finally found the strength to return to school and finish my senior year of undergrad. Upon returning, I discovered my life’s passion while taking a computer science course. I was fortunate to have a brilliant and compassionate professor who encouraged me to pursue a master’s in computer science. Not to mention, it was the first time a professor ever made me feel unconditionally accepted as a student with disabilities. Being a student with disabilities in college required extra responsibilities. At the beginning of each semester, I was expected to deliver a letter to each professor notifying them that I was entitled to disability accommodations under the Americans with Disabilities Act. When it came to timed exams that tested material covered in class and/or in the assigned readings, my accommodations were clearly defined: I received time + a half. In other situations, however, there was more of a gray area. This meant that my needs as a disability student could vary, and often could not be predicted in advance. Despite the quality support I received through DSS, being a disability student in college was often a traumatizing experience. For starters, it was often difficult to get my professors to take my disability accommodations seriously. First, many of my computer science professors were from foreign countries and were unfamiliar with disability accommodations altogether. Although there was sometimes an initial hurdle, the foreign professors always got the bigger picture, respectfully explained themselves, apologized for the mistake, and granted me my accommodations. Second, as far as the eye appears, I don’t have any disabilities. In fact, I was often a top student in my computer science classes: I participated enthusiastically, was disciplined, attended office hours frequently, and went above and beyond in the work I submitted. This threw off my professors. They would make disrespectful remarks such as, “You don’t look like you have disabilities,” or, “I don’t understand why you need your accommodations…You’re the best student in the class.” I constantly felt there was a war between my success and my disability needs: many professors could not understand that my needs were based on what I knew I needed, not a measure of an appearance of success. Third, most of my computer science professors has never had a student with disabilities. They didn’t understand the significance or severity of having disabilities. Even worse, they didn’t know how to respectfully talk to me about my disability accommodations. For instance, they would make suggestions to deter me from using my accommodations, which is a violation of federal law. Fourth, some professors had strong “opinions” about granting me my accommodations. Some saw my extended time as a “special privilege”. Others didn’t believe in granting extended time to students for any reason. Many let their power as professors go to their heads: they believed they had the power to dictate what my needs were and whether or not I should receive my accommodations. Fifth, I was often the only American woman in my courses (or one of only a couple). On several occasions, it was clear to me that I was being judged by my outward appearance. When you’re a blonde, athletic American woman sitting in a classroom of almost all foreign students who are predominantly men, it’s hard to not stand out. It was even harder for some professors to refrain from passing judgment. Although I wasn’t the only student in the master’s program who did not study computer science in undergraduate, I was the only student who looked like me and did not study computer science in undergraduate. A couple professors, and even the former chair of the computer science department, had resorted to scapegoating me and my math background as the reason for needing to use my accommodations, then as the reason why I was denied using them, and then as the reason why I was penalized for using them (if you’re counting, that’s two violations of federal law). It didn’t matter that I was the #1 student in the class. It didn’t matter that I devoted my life to my studies, spending 7 days per week attending to my schoolwork for more than 10 hours per day. I didn’t look like I’d be the top student, so they hit me most where it hurts. Sixth, as mentioned in the above paragraph, was the scapegoating. Whenever a problem got out of hand with a professor withholding approval for my accommodations, I had to reach out to many other divisions within the school that could help rectify the situation. The former chair of the computer science department reached out to me under the guise of offering to help solve the problem. She bullied me, denied the mistreatment I endured, tried to make me feel I deserved what happened to me, and told me that I shouldn’t have been even allowed to take the course on account of my math (non-computer science) background. Yes, the former chair of the computer science department bullied a student with disabilities in an attempt to silence her after a professor violated federal law…twice! When it came to general testing scenarios, ignorance didn’t stand a chance. I simply submitted an online request through DSS to take my exam at the disability center. There was no room for dispute there. The “other” scenarios posed a ton of problems. Ultimately, each professor had the final say. A “no” from a professor was often the determining factor as to whether or not I had a chance to pass the class, and thus receive credit for it. Even worse, it determined whether I was in good standing in my master’s program and whether I would be allowed to continue pursuing the degree. Imagine having to debate with someone who isn’t your doctor why you need your federally-granted accommodations for your disabilities. Facing disability-related obstacles with professors was not only emotionally devastating; it was also time consuming. It often led to a series of panic attacks, which otherwise would have been under control. Recovering from panic attacks took time, and I wasn’t able to attend classes (or function) until I healed. In addition to the time spent dealing with professor-invoked mental illness issues, I often had to spend several hours per week (or per day!) writing sensitive emails, divulging very personal details about my disabilities in an attempt to raise awareness, be open, and provide the professors with the ability to fix their mistakes. The “other” scenarios, with respect to my disability accommodations, were part of a much bigger problem within educational institutions. From my observations, the root of this big problem stemmed from a shift in priorities of universities, particularly in departments where research and profits were prioritized over the quality of education and services their students receive. First, there was the obvious lack of guidance in navigating the graduate computer science program and choosing which courses to take. No one seemed to know any specifics, particularly as to the appropriate order in which to take various courses, with respect to prerequisites. Second, researchers with large funding were given instructor positions, regardless of their ability or interest in teaching. Faculty members with too much administrative power often made decisions with no regards for the very students that would be affected. The majority of my computer science professors were not full-time faculty: they worked full-time elsewhere and taught one or two courses at GW. This meant that the computer science department did not have to provide them with an office. For the professor, this meant that they didn’t have to hold formal office hours. For someone like me who relies on one-on-one, in-person, private communication, this posed several problems. Third, was the insufficiency of course details provided by the computer science department and the lack of oversight with regards to professors’ decisions for their courses’ curriculums. Data is everything when it comes to making well-informed decisions. Further, computer science is an entirely cumulative subject. So, by not providing the accurate, sufficient, or up-to-date information needed to select courses each semester, my peers and I suffered. Often, the prerequisites did not accurately reflect the skills or topics necessary to succeed in a given course. Or, the assigned professor was incapable of teaching. Or even further, the instructor wasn’t qualified to be teaching the material covered in the course. In general, many of my professors did not follow the department’s expected curriculum for the course, either in that they lacked the skills to properly teach, they weren’t able to cover the majority of the expected material in a timely manner, they completely digressed from the intended curriculum, or they went so excessively far beyond the intended scope of the curriculum that the expectations of the students become of the students became flat-out inappropriate. Computer science, like math, is entirely cumulative. In order to truly succeed, there are no corners to cut: you have to learn everything in logical order, step-by-step. There are only two factors that determine a person’s success in school: persistence and preparedness. However, in a highly-cumulative field of study, preparedness must be regarded to an even higher standard. Even students with computer science background struggled to sufficiently prepare themselves due to the lack of information provided by the department. The department essentially set us up for failure from the get-go: it undermined our ability to sufficiently prepare for each course, each semester. Failing to provide the instruction, apriori course details, and appropriate learning materials to students had consequences: I often had to teach myself entire semesters’-worth of material just to understand the material for the course I was enrolled in, on top of spending hours every week searching online to supplement where the professor fell short. It’s not that I mind teaching myself things. I love learning. The problem was that I’m differently-abled, so how I learn, how long it takes me to achieve comprehension, what methods of inputting information work for me are all factors that reflect how much extra work and how much extra time I would need to devote. This was what the “other” scenarios entailed: me having to teach myself entire semester’s worth of prerequisite material, in addition to finding the right resources and then teaching myself the entire course’s curriculum on my own, followed by the weeks of arguing with professors as to why I need my federally-granted accommodations in order to fulfill my expectations as a student. On a more positive note, thanks to my hard work and the help, advocacy, and counseling I received from the director of DSS, I did it! I completed a Master of Science in Computer Science. I’m not finished with the work I need to do now, as I intend to pursue a discrimination violation within the school, and if ignored, I intend to file a discrimination lawsuit. I’ve had to put it on hold for some time because reliving my experiences can be traumatizing. But I know how important it is for people like me to share their experiences and to take action, in hopes that no one ever again has to endure what I’ve been through. I’m proud to say that I’ve already effected positive changes at GW. The director of DSS, on account of my experiences, enacted new policies for the computer science department. First, all computer science professors will have to undergo mandatory disability training at DSS if they have a student with disabilities in their class. Second, all computer science professors will be advised that they must grant, without question, whatever accommodations their disability student needs. Thanks to the director of DSS, GW’s Computer Science department is now a more inclusive, accepting place for people like me. Choose the right school. I can’t stress this enough. It’s important to do your research before considering schools. If your school does not have disability services, don’t bother applying there. You’re going to run into problems and you’re going to need to have disability counselors who have the power to advocate on your behalf. Meet with someone. Visit all potential schools and set up an appointment to meet with a counselor in the disability department. Find out what services they offer. It is important to establish a relationship with a disability counselor before you enroll in your courses. Self-advocate. In college, in contrast high school (in America), you don’t just “receive” your disability accommodations. You need to be able to communicate effectively with your professors and, most importantly, stand up for yourself. Your professors aren’t going to be aware that it is a violation of federal law for them to suggest that you don’t need your accommodations, and they’ll likely go there. You’re going to have to put them in their place. It’s uncomfortable, but the other option is failing and dropping out of school. Be bold. If you know you’re entitled to it or you know you need it, ask for extra time. Don’t back down until your professor provides you with the correct response (i.e., “yes”). Get help. If your school’s disability division offers weekly counseling or coaching sessions, reserve a timeslot ASAP. One of the things you may want to work on during these appointments is setting your calendar and time management. Take care of your mental health. The challenges you will face as a disability student can be disheartening. Even worse, is the feeling of isolation if you happen to be a pioneer as a disability student within your department. If things start going downhill, set an appointment with student health, a disability counselor, or a therapist. If you don’t take care of your mental health, it’s unlikely you’ll be able to continue with your studies. Go to bed. Strive to get a full 8 hours every night. You will be tempted to sacrifice sleep for your studies and social life. Resist the urge and go to bed. You can’t succeed in school without your sleep. Eat your nutrients. The majority of the things you eat should be fresh, minimally-processed food. Don’t skip out on your fruits, vegetables, protein, and fiber. Fatty protein, such as salmon, is brain food. Value your body. Everything you put into it affects your brain power. If you are motivated enough to go above and beyond, give up processed sugar and artificial sweeteners. It’s not easy to do but it’s worth it. Define yourself. You can’t control how your professors treat you. You can’t control whether your professors make ignorant remarks to you. You can’t control whether you’re the smartest student in each of your classes. What you can control is your work ethic. You will have to work longer hours than your peers, on account of being differently-abled. Commit to your studies, take pride in your work, and let your work ethic define who you are. If your definition of yourself is impenetrable, you won’t succumb to scapegoating and bullying. Know your worth, take pride in your work ethic, and stand your ground. This is a fascinating read and I’m glad I read it. Makes me wonder how many other students out there have experienced similar experiences and didn’t know to file for disability and instead dropped out of school. My sister had a visual impairment in grade school. My parents went through a process that reminds me of what you went through so that she had more time for her tests. I don’t recall if this went on through college and graduate school. It important that we tell these stories so that others are helped through an already challenging process of schooling. Thank you for schooling us. This was a great article!! My daughter just began college with a newly diagnosed disability so the learning curve is huge for her! She does not advocate well for herself and one accommodation she received in high school isn’t being granted to her. This will make her math class extremely difficult to pass. I’m wondering if you would share your disability with us? I didn’t see it mentioned specifically in the article. Thank you for sharing your article with us!